Shop and enjoy these reminders of the beauty and potential of listening to life.. This is the blog that came from the book that came from the newsletter that came from stories I shared with families and friends and colleagues. In the stories of our lives and the lives of the people around us resides great knowledge, wisdom and reminders of the beauty and joy in life. 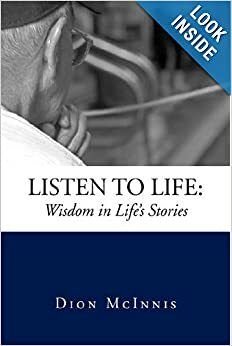 Lessons about leadership and parenting, creativity and relaxation, self-awareness and expression…and more…are available to those who listen. Buddhist wisdom states “When the student is ready, the teacher will appear.” For those who listen to life, teachers appear every day. Simply pay attention and listen. Happy Easter… Who has risen? All contents on this site and the archives are (c) copyright Dion McInnis. This is a partial archive of the newsletter. Enjoy. 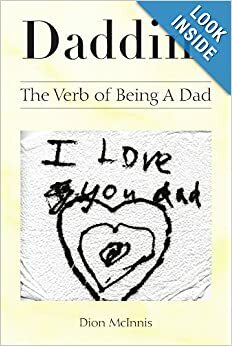 Have You Read Daddin’: The Verb of Being a Dad? The blog about daddin'....the verb of being a dad..
How to find your true legacy through philanthropy.. "Still...life." A photo-of-the-day project to remind us that amidst it all, there is....still....life..
See; change. grow. See differently; change perspectives; grow authentically..